The Blue Fish features the freshest premium selections of sushi and sashimi, along with spectacular signature rolls and hot food dishes. We also boast a variety of sake, beer, wine and spirit selections to complete the dining experience. Wonderful as always! The only thing I would not recommend is the spicy edamame - it's too messy. We prefer the regular edamame, which is excellent! Sushi and rolls were great. Calamari was ok, thus the overall 4 star rather than 5. Service was great! One comment - karaoke on a Friday evening ruined our date night. Unreal. They didn’t make our featured rolls so there was about 30 minutes in between rolls that were ordered at the same time. Once they brought them, it was still incorrect. Calamari was treacherous. Drink was empty a lot. Made birthday reservation and it was 1st time. Very disappointed. Very very disappointed that we made an open table reservation for 7:30pm and were not seated until 8:05pm. 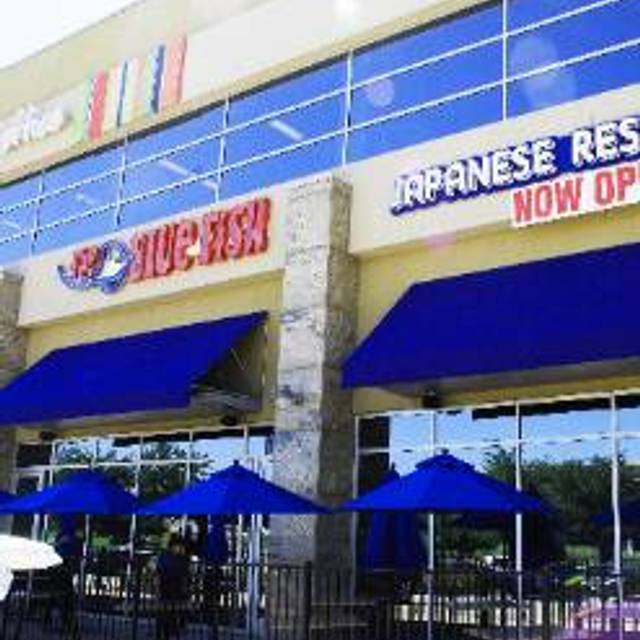 We made reservations for Blue Fish -121 Plano for New Years Eve. There were five of us. While we were waiting for or table, one of our party tried to get a drink at the bar. The bartender wouldn't acknowledge her, and when he finally did he acted like she was inconveniencing him by ordering a drink. After we were seated we didn't receive service for at least 15 minutes. The manager finally came over and asked if we had been helped. He assigned a server to us that ended up doing a good job, until we finished eating. At that point we wanted to order another round of drinks and she was nowhere to be found. This might have been understandable if they had been busy, but they weren't. We have never had an issue with the service at the Frankford and Tollway location. We will not be back to this location. I heard good things about this restaurant so decided to take my kids for a special Christmas dinner. The sushi was good but not for the price and have had much better in the area. We could here pop music at our table. Not sure if it was coming from the bar or upstairs. I love ❤️ this restaurant!!! The atmosphere... the great service!!! My wife and I went for our anniversary and had a great time. The food and wine was excellent. The sashimi were cut in nice large slices and was very fresh. I highly recommend the blue fin tuna. Food was great, as always! Service was spotty with cooked dishes coming out very randomly, something I expect with dishes from the sushi bar, but not the kitchen. And the language barrier was a slight challenge with our waitress. The sushi was so fresh and delicious! Our waiter was helpful in making our selections and was very friendly. It was a beautiful evening so we sat on the patio. The Blue Fish chain is mine and my wife favorite sushi place. They are consistently good and great service. We usually order 3 to 4 different rolls and always get the Ahi Tuna Tower which is my favorite. Prices are a little higher than some other sushi places but I think it is a little better here and I know with the volume they do the sushi would be fresher. We enjoyed an impromptu Friday evening dinner at the Blue Fin to kick off our weekend. Recommend the ahi tower, Chilean sea bass, yellow tail heaven, firecracker roll and the berry tower for desert. All were fantastic!!! Absolutely done with Bluefish at 121. Was sat at 1:25 and left at 1:47 as not a single person said a word to us. Several walked past but said nothing. The Manager while walking around aimlessly in the dining room made eye contact multiple times but still said nothing. No hello, have you been waited on, can I get you a drink...nothing. There are simply to many options to venture into this pretentious worn out sushi restaurant. They still honored my reservation and gave me 100 points...likely because they never noticed we left...laughable! Took people from Miami, Herndon, Provo and Phoenix here for sushi. They all thought it was fantastic. Always a win when i visit. We love Blue Fish and go there anytime we have a special occasion but the last two times we have been, the service just continues to get worse. Tonight was very busy which we totally get will slow the food down. It took over 30 minutes to get our food which honestly would have been fine if our waiter would have checked on us. We all ran out of water and drinks. A server brought us our food at which time we asked for more water but we never saw our waiter again until we were finished. I flagged down one of the managers to ask for wine but it took him 15 mins to bring it to me which was after our meal was done. I highly recommend the food so hoping they will find a way to train their wait staff or maybe the key is to not go on a busy night. My daughter celebrated her 17th bday here with 10 of her best friends. The staff went above and beyond to make the evening special! Always great meals! Will be back for sure. All is high level.... the place... the waiters... the Great sushi ever!!!!! Unfortunately it did not live up to reviews. If you are looking for a fun a vibrant sushi place, this is it. 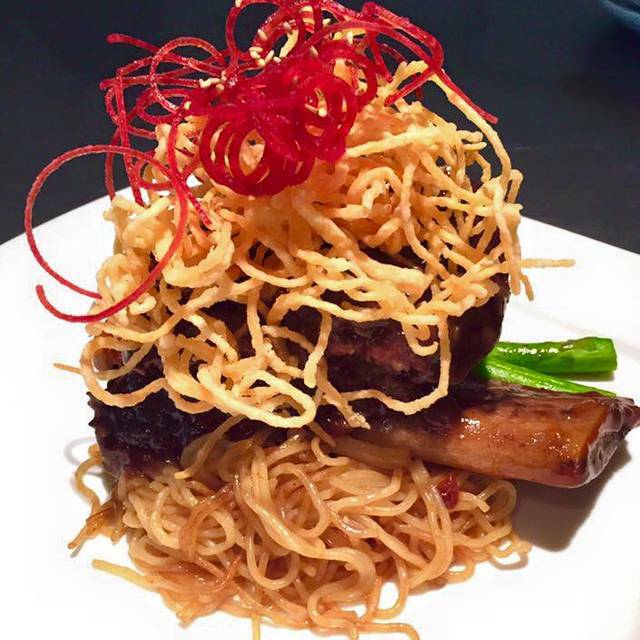 The food is phenomenal and the atmosphere is upscale and upbeat. Great bar in the center and cool blue neon lighting throughout. This is not the place for quiet conversation as it is pretty loud when busy, but fun and creative cuisine makes a great place to hang with friends or a date night in my opinion. All the sushi I tried was great! My family and I went there for a special occasion - This was my second time at Blue Fish. I was very impressed the first time and I wanted to spend my birthday at this location. The manager was polite and friendly, the restaurant was clean, and 3/4 of our family members enjoyed our food. My only issue was that it was somewhat loud and it took quite a while for our server to get to us. This reservation was made on a whim and at the last minute. It was not our first choice but we decided to try it anyways, and now wish we had discovered this place earlier. The sushi and sashimi selection is beyond reproach. This will now become our new 'go to' sushi restaurant!! 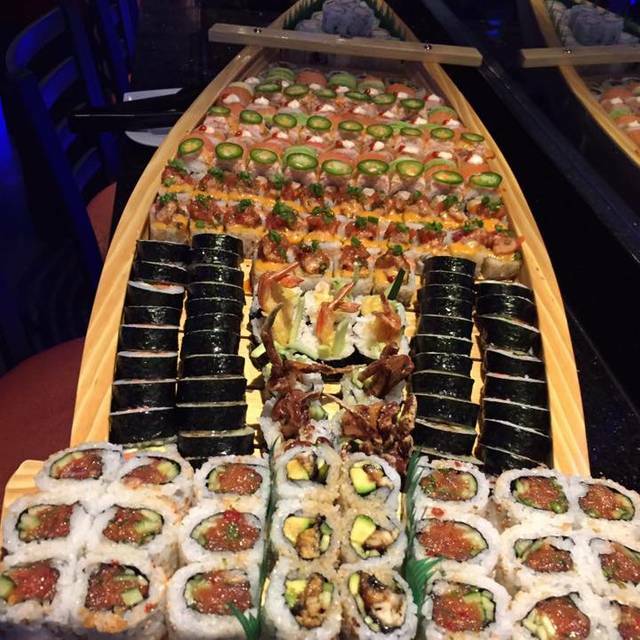 We will go here often for our Sushi fix and have not had any bad experiences. Sushi always seems fresh and flavorful, fairly consistent from 1 visit to the next. They use to have 2 for 1 sushi which brought us in at least 2x a week but ended that. If you ever need a mega tuna tower to feed 10+ people, this is the place, we had it made a few times and its a big hit. Love this place. Best sushi in the Metro area hands down! Great sushi and fast service. Enjoyed a great night out with friends. The food was excellent and the service was even better! 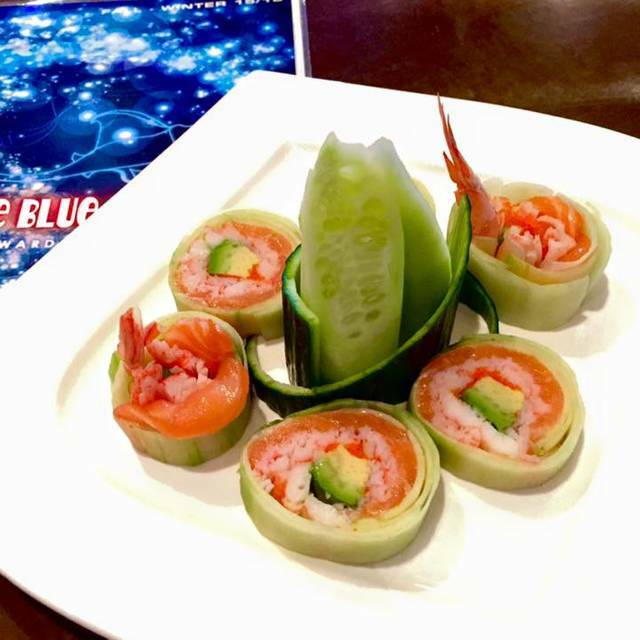 I'd suggest The Blue Fish to everyone who enjoys sushi!